How effective are whistleblower laws in combating corruption? 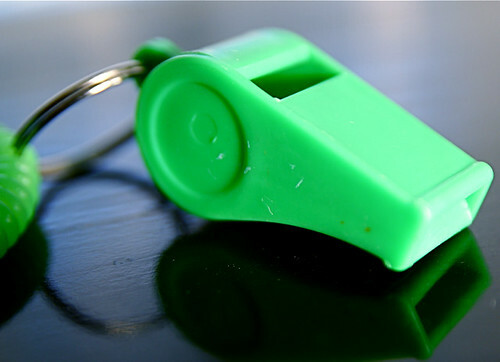 Whistleblower laws are becoming important governance tools in both the public and private sectors. To examine the effectiveness of whistleblower laws and their awareness, this study creates a unique internet-based measure of awareness about whistleblower laws and provisions, focusing on the United States. Placing the analysis within the larger corruption literature, our results show that greater whistleblower awareness results in more observed corruption and this holds across specifications. Internet awareness of whistleblower laws appears to be more effective at exposing corruption than the quantity and quality of whistleblower laws themselves. The results for the United States in terms of the effectiveness of whistleblower laws in exposing corruption should be of interest to policy makers everywhere, especially in other nations that do not have adequate protections for whistleblowers. As internet diffusion grows and the digital divide narrows, it would be interesting to see a further impact of whistleblower awareness and, more generally, of the internet. A while ago in Brazil I had the pleasure of meeting the folks from Federal University of Minas Gerais who are using twitter data to monitor disease (more specifically dengue) epidemics. Their work is awesome, and worth taking note of. Twitter is a unique social media channel, in the sense that users discuss and talk about the most diverse topics, in- cluding their health conditions. In this paper we analyze how Dengue epidemic is reflected on Twitter and to what extent that information can be used for the sake of surveillance. Dengue is a mosquito-borne infectious disease that is a leading cause of illness and death in tropical and sub- tropical regions, including Brazil. We propose an active surveillance methodology that is based on four dimensions: volume, location, time and public perception. First we ex- plore the public perception dimension by performing sentiment analysis. This analysis enables us to filter out con- tent that is not relevant for the sake of Dengue surveillance. Then, we verify the high correlation between the number of cases reported by official statistics and the number of tweets posted during the same time period (i.e., R2 = 0.9578). A clustering approach was used in order to exploit the spatio- temporal dimension, and the quality of the clusters obtained becomes evident when they are compared to official data (i.e., RandIndex = 0.8914). As an application, we propose a Dengue surveillance system that shows the evolution of the dengue situation reported in tweets. This is the kind of research that should be informing the design of ICT mediated initiatives. It also a good example as to why policymakers and practitioners should reach out more to scholars (and vice-versa). Now that so much of collective action takes place online, web-generated data can further understanding of the mechanics of Internet-based mobilisation. This trace data offers social science researchers the potential for new forms of analysis, using real-time transactional data based on entire populations, rather than sample-based surveys of what people think they did or might do. This paper uses a ‘big data’ approach to track the growth of over 8,000 petitions to the UK Government on the No. 10 Downing Street website for two years, analysing the rate of growth per day and testing the hypothesis that the distribution of daily change will be leptokurtic (rather than normal) as previous research on agenda setting would suggest. This hypothesis is conﬁrmed, suggesting that Internet-based mobilisation is characterized by tipping points (or punctuated equilibria) and explaining some of the volatility in online collective action. We ﬁnd also that most successful petitions grow quickly and that the number of signatures a petition receives on its ﬁrst day is a signiﬁcant factor in explaining the overall number of signatures a petition receives during its lifetime. These ﬁndings have implications for the strategies of those initiating petitions and the design of web sites with the aim of maximising citizen engagement with policy issues. Cristiano Faria’s book on Open Parliaments has finally been translated from its original Portuguese to English. There are many reasons to read Cristiano’s piece, one of them being the scarcity of literature dealing with the usage of ICT by the legislative branch. I was honoured to be invited to write the preface to this book, in which I list a few other reasons why I think this book is very worthwhile reading. I have reproduced the preface below, with the addition of some hyperlinks. Towards the end of the 18th Century, not long after the French Revolution, engineer Claude Chappe invented the optical telegraph. Also known as the Napoleonic Telegraph, this technological innovation enabled the transmission of messages over great distances at unprecedented speeds for its time. This novelty did not go unnoticed by the intellectuals of the period: the possibility of establishing a telegraph network that could connect individuals at high speed and lowered costs was seen as a unique opportunity for direct democracy to flourish. The difficulties associated with direct democracy, so eloquently expressed by Rousseau just a few years earlier, no longer seemed relevant: simply opening the code used by the telegraph operators would suffice for a whirlpool of ideas to flow between citizens and government, bringing a new era of participatory decision-making. Events, however, took a different turn, and as time went by the enthusiasm for a democratic renewal faded away. In the course of the centuries that followed, similar stories abounded. The emergence of each new ICT gave rise to a period of enthusiasm surrounding a renewal in politics and government, only to be followed by bitter disillusionment. While the causes of these historical experiences are multiple, it is safe to say that the failure of these technologies to deliver their much-heralded potential is underscored by a lack of understanding of the role of political institutions. These institutions are, inexorably, sources of obstacles and challenges that go beyond the reach of technological solutions. Indeed, one could argue that despite the historical evidence, even today a certain amount of ingenuity permeates the majority of academic works in the domain of electronic democracy and open government, overestimating technological innovation and neglecting the role of institutions, actors, and their respective strategies. Not falling prey to the techno-determinist temptation but rather carrying out an analysis grounded in institutions, organizational processes and actors’ strategies, is one of the many strengths of Cristiano Faria’s work. His experience as a civil servant in the Brazilian House of Representatives and his academic rigour bring together qualities that are rarely combined in the literature about the public sector. The result is a work that offers an unusual vision, taking into account a wide range of factors involved in processes of technological enactment and institutional innovation. While underpinning the book as a whole, this encompassing perspective is most prominent in Chapters 4 and 5, in the case studies on the experiences from Brazil (e-Democracy) and Chile (Virtual Senator). Motivating factors, constraints, and institutional and organizational arrangements are brought to light. The reader encounters elements and processes that often go unperceived by even the most attentive observers and experienced academics. For instance, while analysing the Brazilian case, Cristiano underscores the essential role played by legislative consultants in channelling citizens’ input into the formal decision-making processes of the House of Representatives. Only an individual who is viscerally familiar with the functioning of the public institutions in question is capable of such an insight – one of many throughout the book. Even for this reason alone, this work is of inestimable value to the Brazilian and international literature in the fields of electronic democracy and open government. Numerous other characteristics, however, further add to its worth for researchers, politicians, civil servants and ordinary citizens with an interest in these subjects. The object of study is relevant in itself. There is a disproportionate shortage of literature about the role of technologies with regard to the legislative branch. An incomplete understanding of how public institutions operate and interact among themselves has led an increasing number of academics and observers to focus their attention on the executive branch. Furthermore, in the limited literature that is available about the use of technologies by the legislative, the majority of studies are disappointingly superficial or excessively descriptive. Cristiano’s text, although rich in detail, never loses sight of the major theoretical and normative perspectives that inform the state of the art in the electronic democracy debate. The literature that guides this piece is impeccable. This is a text that brings the reader into contact with the main theories and arguments relating to issues of transparency, participation, actors’ strategies, and processes of institutional and technological innovation. Lastly, by presenting cases ranging from New Zealand to the Catalan Parliaments, this book has the inestimable worth of being a historical record, immune to temporal and technological changes. Cristiano Faria captures the state of the art in electronic democracy experiences in the legislative at the beginning of the 21st century. To ensure that the destiny of these experiences differs from that of the Napoleonic Telegraph, a realistic and perspicacious reflection is necessary, to which this book makes its contribution.